Since the day Lord Dillon earned his spurs, rumors of his savagery on the battlefield have preceded him into every room, stilling tongues and sparking fear. Weary of battle, he wishes only to find a woman he can wed who will approach him not with fear, but with the tenderness that has been absent from his life for so long. Yet only the wisewoman seems invariably at ease in his presence. For seven years, Alyssa has been by Lord Dillon's side-counseling him from the shadows, healing him, and staving off the worst of his loneliness. Blessed-or cursed-with gifts that label her a sorceress, she is forced to conceal her youth and the love she harbors for him, leading Dillon and his people to believe she is the same wisewoman who served his father. All is revealed, however, and passions flare when an enemy threatens Dillon's life and Alyssa sacrifices everything to save him. When Dillon discovers that the wisewoman is far from elderly, he is instantly entranced. And, as he and Alyssa work together to defeat an enemy bent on destroying them both, Dillon will risk anything-even the wrath of his king-to be with her. Fans of the Immortal Guardians will love that we are getting a prequel of sorts with the Gifted Ones, but fear not, these work on their own, and although some characters like Seth, Marcus and Roland make appearances, there are no spoilers. A Sorceress of His Own takes us to 1198 England and the keep of Lord Dillon, Earl of Wescott. Feared by many and respected by all, Dillon is a fierce warrior, defender of the crown, and a fair lord. His chief advisor and resident healer is the “Wisewoman.” Cloaked in dark robes, no one has seen her face. Others perceive her an old woman whom some believe is immortal. She served both his father and grandfather. There is much Dillon does not know about his Wisewoman. At the age of sixteen, Alyssa took over the role of Wisewoman from her grandmother when Dillon came into power. Alyssa has had a crush on Dillon since she first laid eyes on him and witnesses a kindness. He knows her only as an old woman since she alters her voice and uses magic to conceal her youthful hands. She is both a healer and a seer. I enjoyed the story that unfolded and the period is such a dangerous time for someone like Alyssa. Duvall creates characters that I instantly connect with and pulled me into their romance giving me all the feels, swoons, and giggles I could ask for. I loved how fierce, stubborn and yet caring Alyssa was. She readily makes sacrifices for others and yet denies herself. I loved her transformation throughout the story and the way in which her relationship changed with Dillon’s men and with those in the keep. Dillon is all warrior, and yet in his chambers, he reveals a gentler side. He cares for his people, wants someone strong by his side. He enjoys pillow talk and places value in others opinions. He is protective and dominant without being overly possessive. The romance was completely swoon-worthy and unrushed. Duvall slowly allowed their relationship to develop, giving us tender moments, moments of discovery and yes-unbridled passion. I loved the teaser, banter, moments of misunderstandings and resolutions. There are SO MANY awesome quotes filled with snark and humor I wanted to share with you but think you should discover them on your own. Politics, betrayals, battles, and mortal wounds surrounded the romance giving us a sense of this world, government, and climate. The story was addictive as Dillon and his soldiers faced nemesis. Alyssa had visions of danger to come. We faced twists, turns, and unknowns that placed our hero and heroine in peril. Duvall is a masterful storyteller who fleshes out her worlds and gives depth to her characters. Even her secondary characters are memorable. I loved the thread about the gifted ones and loved that Seth (from Immortal Guardians) has been protecting gifted ones all of this time. Kristen Potter narrated, and she was perfect for this tale. This was my first experience with Potter, but I must confess it will not be my last. Her voices, tones, and accents were spot on creating another layer to an already brilliant tale. Aside from having a new book boyfriend, (that is right ladies Dillon is mine), A Sorceress of His Own earned a place on my favorite romance and audio shelves. I would venture to say that even those who shy away from historical would love this tale. 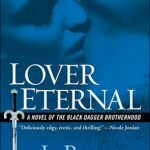 Fans of the Immortal Guardians are in for a treat, and for those new to Duvall I imagine you will be lining your bookshelves with her books/audios. I actually bought this book earlier today when I saw it on special for Amazon today. I had no idea that characters from The Immortal Guardian books were in this book as well. If I had known that, I would have bought this way before now as that is a favorite series of mine. Glad you loved this, and I hope to as well! Great review! Yes, but this was released after I think. I loved the audio, but I am glad you are reading it! *big wave* Hi, Carol! Kids tend to do that, don’t they? 🙂 The past year has been so hectic that I can’t remember if I told you how happy I was to see you liked Yuri’s story. Thanks so much for the great review! I hope you’ll like the new series, too! I can see you 🙂 I hope you try this, I really enjoy Duvall’s books. I felt it was well balanced. At no time was I feeling anxious to get back to one thread, as they were tightly woven. I think romance set against the paranormal elements works well. I do love contemporary romances but tend to go small-town types where there are side stories involved. Otherwise, I need another element like suspense, mystery, paranormal or an urban fantasy world with a bigger overall arc. She uses magic to distort her voice and to age her hands. During this era folks were very superstitious and believe she is immortal. Gads thank you. I did love it. Yesterday the publisher sent me book two on audio for review 🙂 I so want to jump ahead and listen 🙂 It will be up on the blog in November. I was just about to email you and ask if they sent you Rendezvous With Yesterday when I saw this. 😀 So glad they sent you a copy! This one sounds amazing and I really love that cover. I love books that take place in the time of lords.. They almost always have this amazing romantic feel about them. I will definitely add this one to my TBR asap!! Sweet, I cannot wait to see what you think Maureen. When it comes to historical reads, I tend to like the more realistic titles. I’m so glad you enjoyed this one though. I hope it’s a wonderful start to a new series! I love both, and while we have some witchcraft and an immortal element, they live in quite the realistic medieval keep. Woah, it sounds fantastic! I need. Yep, need this one. Medieval romance and fantasy was where I got started years ago and I still have a soft spot. And that’s interesting that it’s tied to her modern setting PNR series. I still need to read that one. You know, I really love DD. This book sounds good. On the list it goes! Catchy name for this series. Thanks for the post. I just got book two on audio today and cannot wait to listen! I hope you try them Lily. Damn, you and Melissa have me eager to read these. Hehe. Good. Can you please let me know if you receive this reply.